You can now dress your XBOX Live Avatar in a Bing t-shirt. 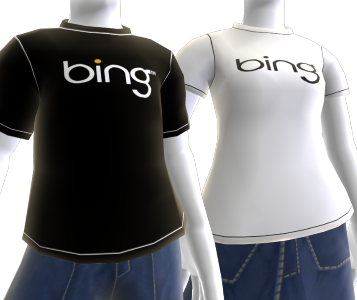 You can unlock a special gift for your Xbox LIVE avatar: a Bing t-shirt! Bing provides you with two tokens – one for a male shirt and one for a female shirt, either of which you can use the next time you sign into Xbox LIVE. On Xbox.com hover over Xbox Live, click Xbox Live Marketplace then on that page click Redeem Code in the ‘My Account’ dropdown menu, enter code in the boxes. On the Xbox 360, go to press the big Guide button, slide to Marketplace, scroll down to Redeem Code, enter code. 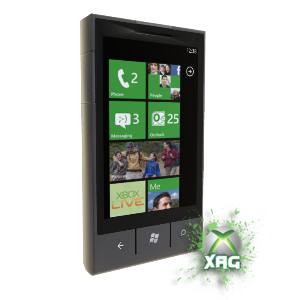 XAG Counter Strike Global Offensive XBLA Giveaway! XBOX LIVE Avatar Gear is giving away a FREE copy of Counter Strike: Global Offensive XBLA Game! MUST LIKE and SHARE the Facebook Contest Pic to be entered. Additional ways to enter Via RaffleCopter at this Link https://www.facebook.com/XBOXLIVEAvatarGear?sk=app_228910107186452 . Contest starts NOW and runs to the end of the month August 31st at Midnight and the winner will be anounced September 1st. Good Luck and thanks for sharing the pic.